Since PowerPoint 2007 was introduced, the color design function in PowerPoint really comes in handy when designing presentations. 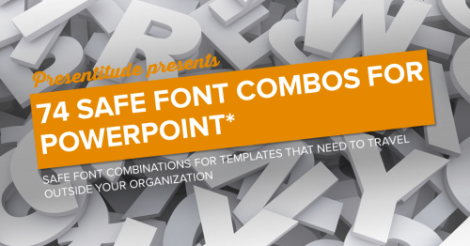 You can create your own color themes and it is easy and quick to apply these colors to all of your slides at once. Creating functional and beautiful colors themes for effective use is a delicate process however. You need 10 colors; 6 accent colors and 2 dark and 2 light background/text colors as well as colors for your hyperlinks and followed hyperlinks. This can be a time consuming process. 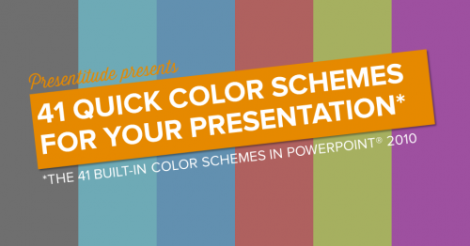 If you don’t like the default PowerPoint colors and you don’t have time to define your own colors – you can use one of the preinstalled color themes. PowerPoint 2010 comes with 41 preinstalled color themes ready be applied to your presentation and graphics, regardless of what template you are using. 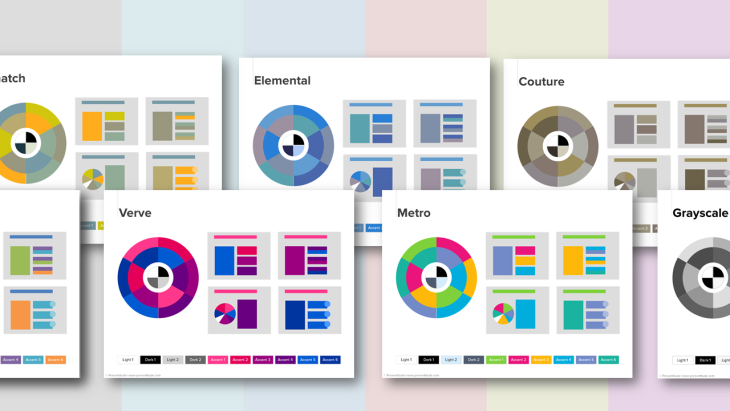 We’ve created a quick guide of these color themes (using the PowerPoint 2010 version). 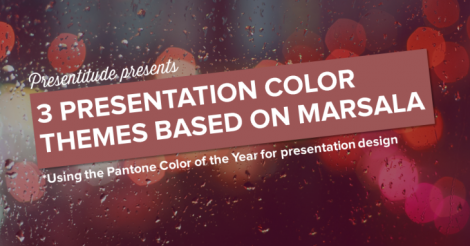 Each color theme is presented with a color wheel with the accent colors around the dark/light colors in the center and four roughly mocked-up slides with the colors applied. The color theme is shown on white and the mockup on the same light grey slide background for comparison. Our favorites? Well, it depends on what you’re designing, but we like the Civic, Composite, Technic, and Urban themes.